Sara and Patrícia conducted a successful workshop and seminar at Northcity4 on Saturday, May 23. 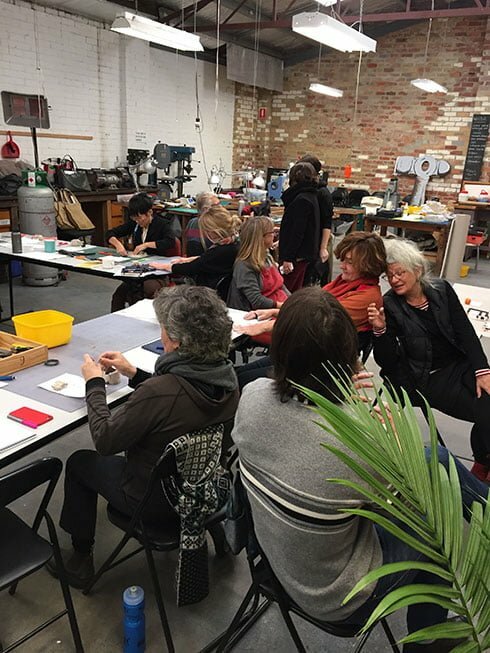 The workshop participants included TAFE and university students as well as practising artists and designers. They were encouraged to work in a quick, spontaneous way, all throwing themselves into some focussed and productive play using language combined with a plethora of found materials. The well attended evening seminar saw Sara and Patrícia each present a lecture about their jewellery, their professional practice and their approach to contemporary jewellery as a career. Thanks to Northcity4, in particular Katherine Bowman and Caz Guiney, for hosting the events and providing extensive organisational support.